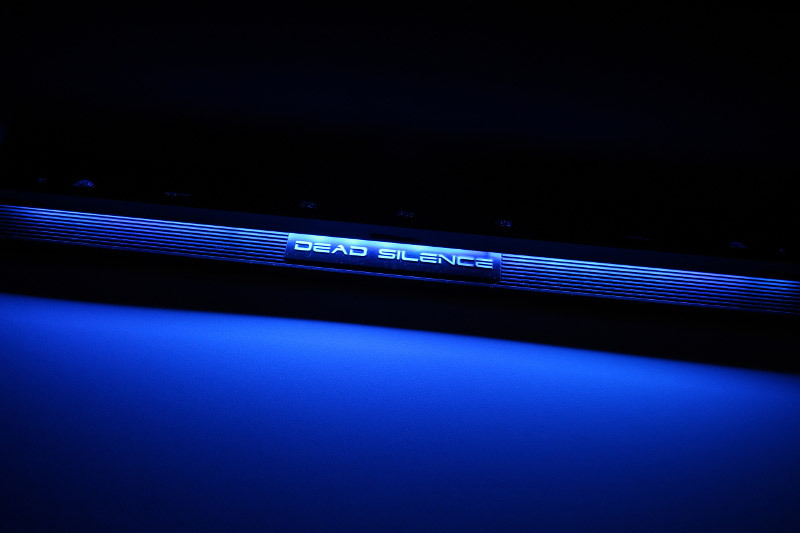 Deadsilence remastered - In 2014, Aerocool landed a big hit with its predecessor DS200, which impressed with its innovative design and high quality. 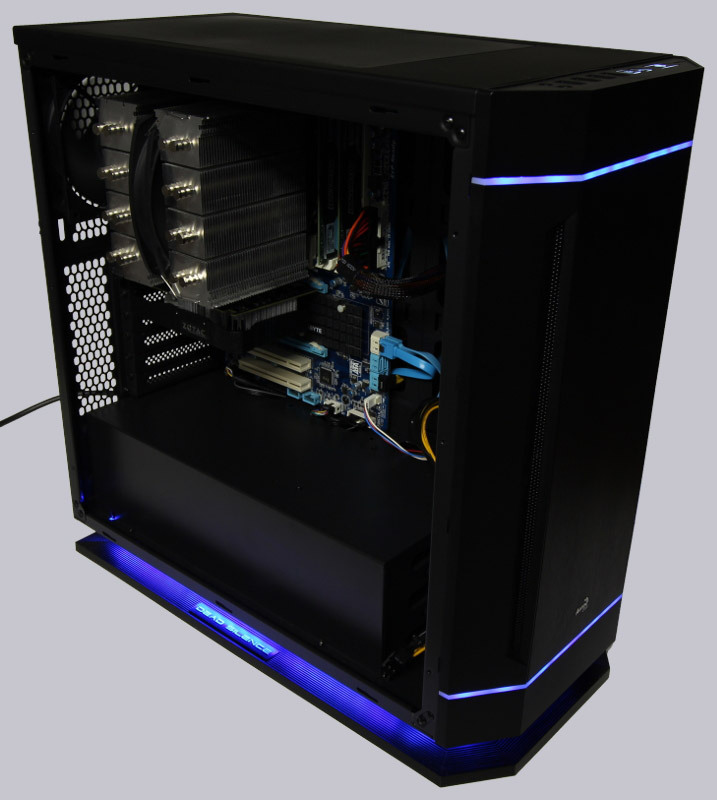 Today we look at the successor of the almost legendary DS 200 and see what Aerocool has come up with something new. 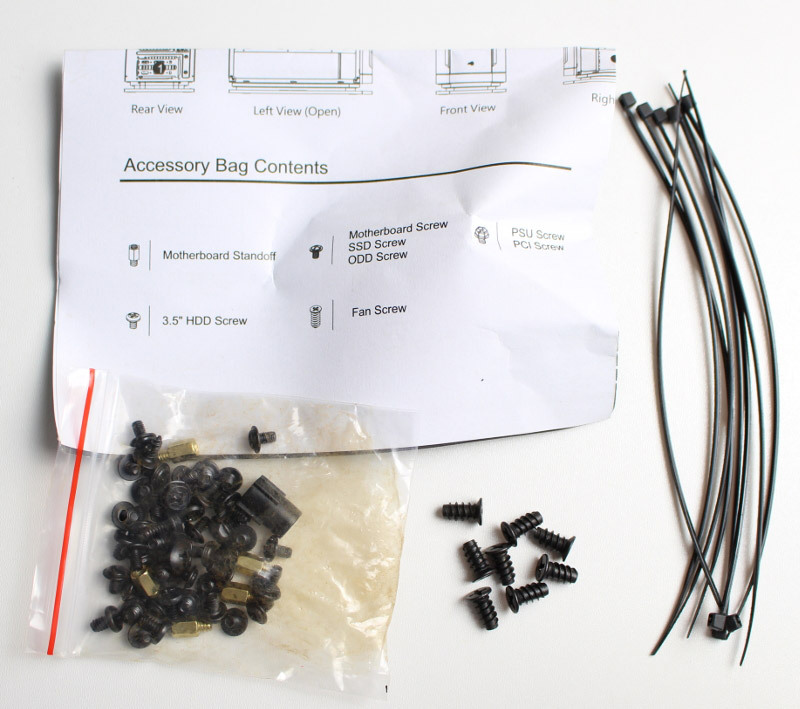 The included parts are limited to the typical standard utensils, black lacquered screws, 8 cable ties, a small manual and a 120 mm fan with 4 pin connector mounted in the rear. The manual should have been a little more detailed, because this deals only rudimentary with the components, but does not deal with the existing fan control, etc. The supplied fan offers a high throughput, but this comes at a speed of 1800 rpm and the corresponding noise in 12V operation. 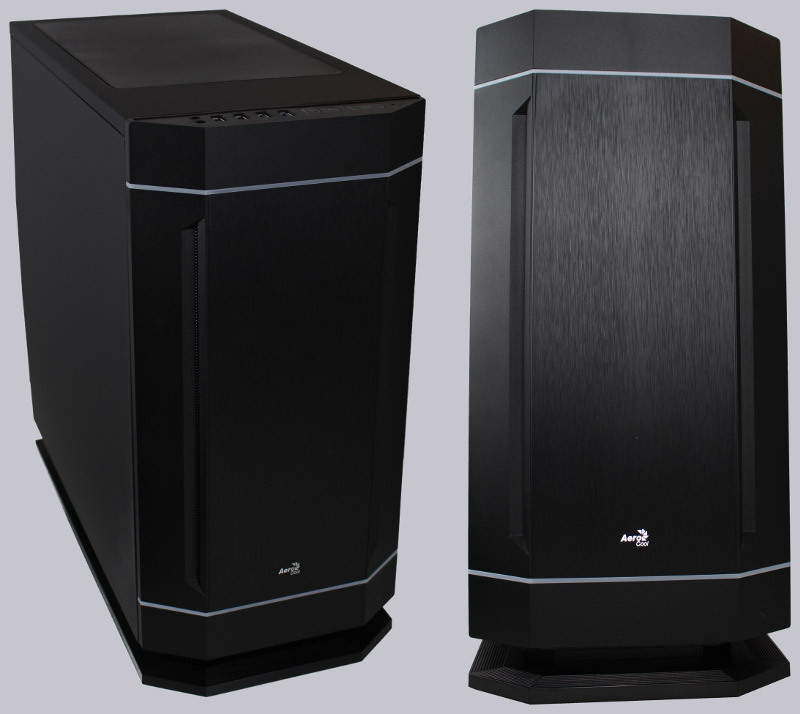 Externally, the DS230 is a sleek and simple case, with the front mimicking the look of brushed aluminum. Unlike most cases it does not stand on your feet, but has a very stable base made of plastic as a base. The base is illuminated when the lights are switched on and looks very noble. The housing offers many possibilities to install fans. 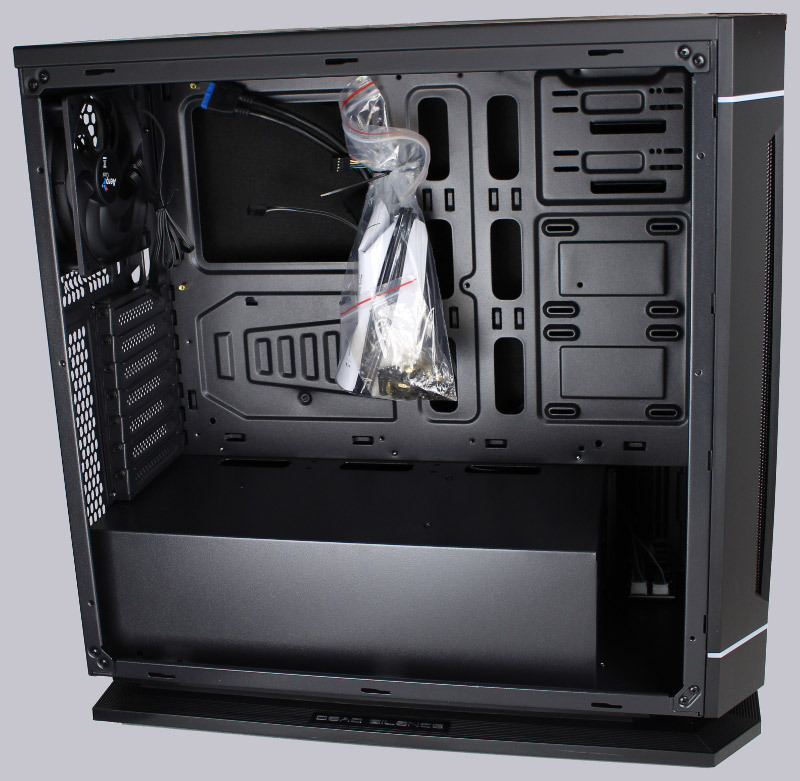 2x 120 mm or 140 mm can be installed under the top cover, or a correspondingly large radiator for water cooling. The lid can be removed without tools, because it is innovatively fixed by 2 magnets incorporated in the lid on the housing. A very elegant solution, which is also used in the dust filter in the front. Apropos dust filters, the dust filter under the power supply can also be removed very quickly without tools. 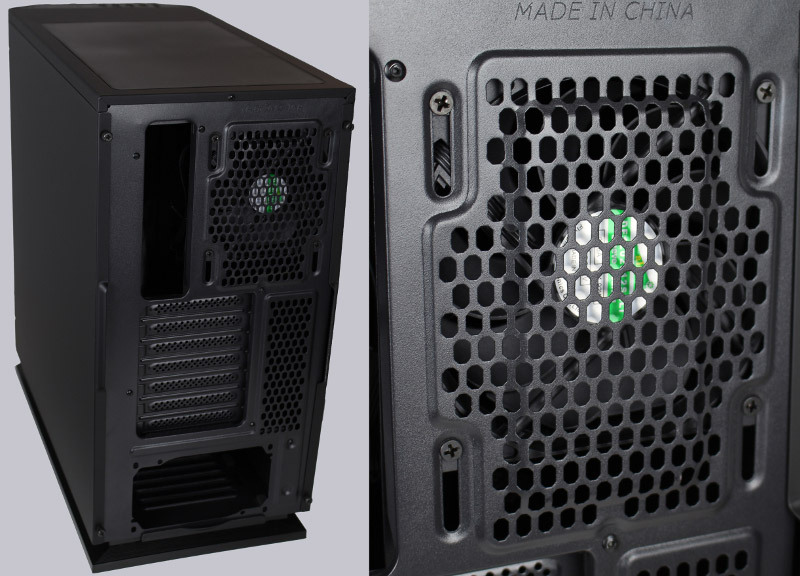 On the inside of the front there is the possibility to install 3x 120 mm or 2x 140 mm fans, through which the fresh air supply can be well ensured. 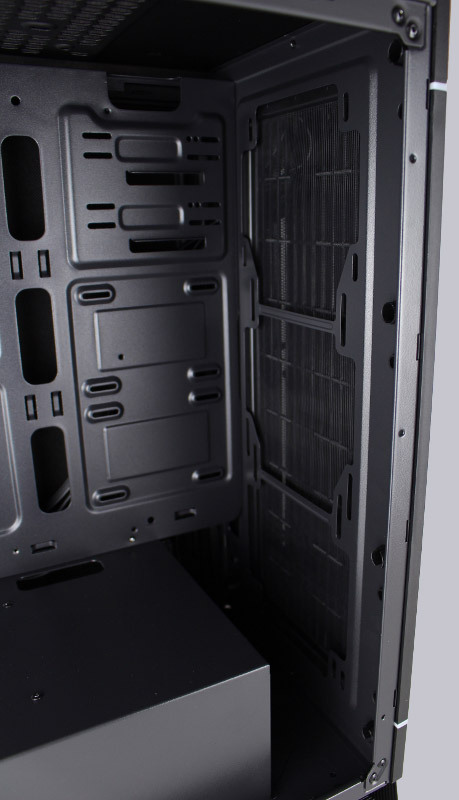 For airflow optimization, the fans can be flexibly aligned to the installed hardware through the slots at the front and back. This is available only in very few cases of this type to this extent. 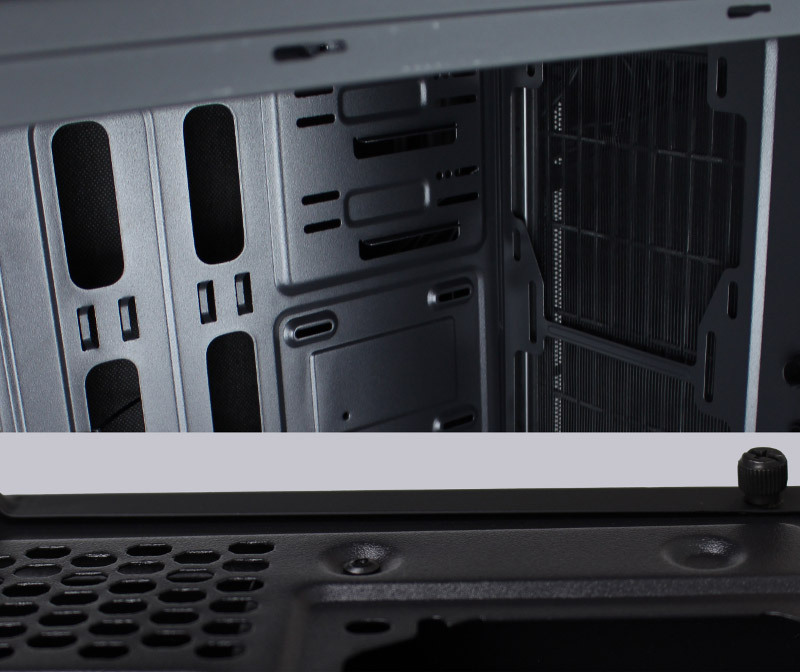 The 3.5 "hard drives find their place unobtrusively down in a transversely mounted HDD Bay and are also quick and easy to install without tools. With the right side panel open, they are invisible to the viewer behind the steel cover. This applies to almost the entire wiring and the power supply as well. Further up there is a cage for one of the three 2.5" HDD / SSD on the back and at the same time is the only exception inside for tool-free installation. Here a consistent use of the magnets would have been the icing on the cake. The reason why 8 cable ties are enclosed in the housing is shown after inspection of the rear wiring, here there are no guide channels or something similar. In theory, we could now speak of a perfectly successful successor, actually ... as mentioned at the beginning, Aerocool gives away, in my opinion completely unnecessary, a lot of potential by detail mistakes and processing errors. The processing errors are present on both sides including the front. As a result, both doors sit very moderately or obliquely and are pushed by the screws of the side parts to the place where they should be. Unfortunately, both side panels of the side doors bend. Examples of detail scratches are also present on the picture, but will only become apparent upon closer inspection. 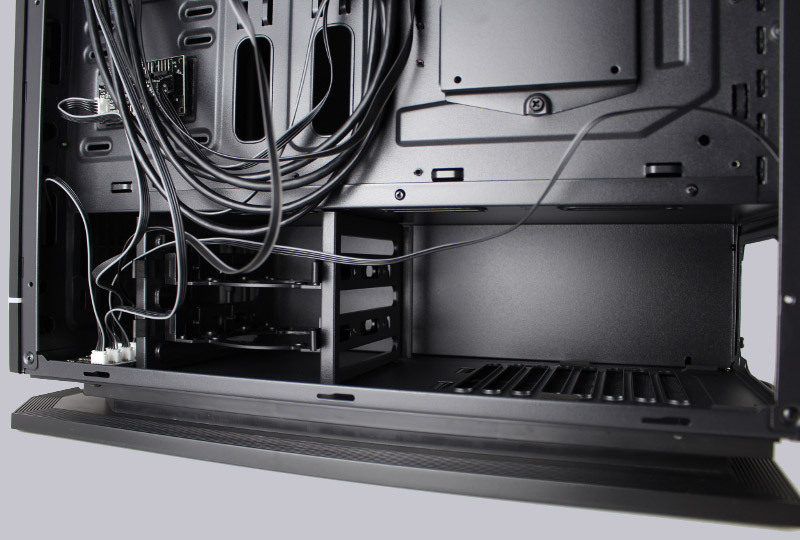 Unlike its predecessor, the DS230 does not have any external drives, but there are support rails and screw-in options for external drives on the backplane in the housing. Finally, I would like to mention positive, sharp edges are not found on the case. The space of the tower is neat and it can be easily install large components without problems. 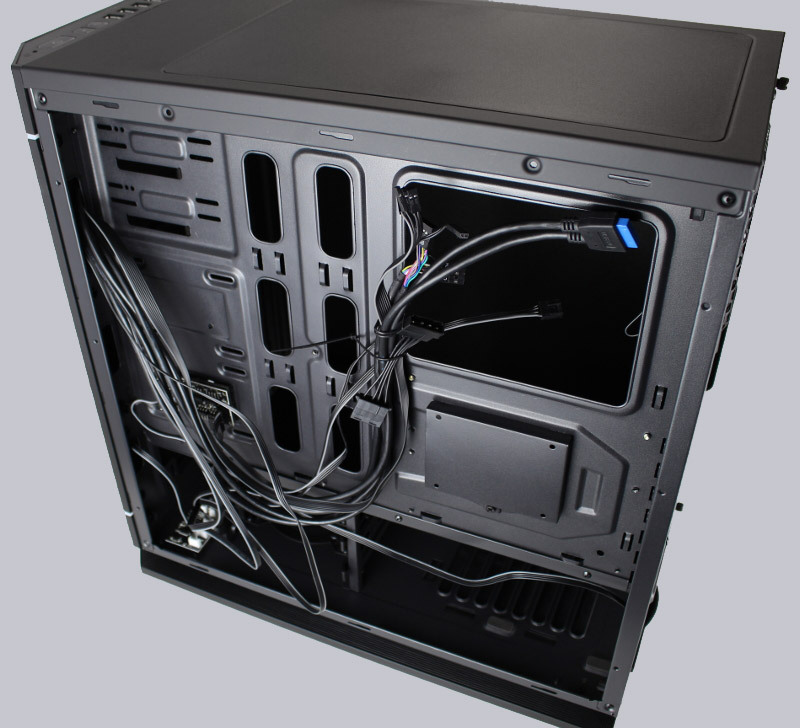 From the installation side, it is feasible without major problems to hide all cables very well, as can be clearly seen on the following picture. As much as I would like to give the DS230 a blanket recommendation, this is unfortunately not possible. On the one hand it is the detail errors and on the other the equipment. The processing is unusually bad for this price range and the additions are limited to the bare essentials. The included fan is neither fish nor meat, at full power is not silent and at 5 volts it is too weak to vent the case properly. Who wants to get the tower really quiet, should look around depending on emerging waste heat for 2 or 3 better fans in the trade. Who wants to buy the housing due to its appearance and flexibility and can live with the described defects, finds with the DS230 a visually noble part under the desk again. 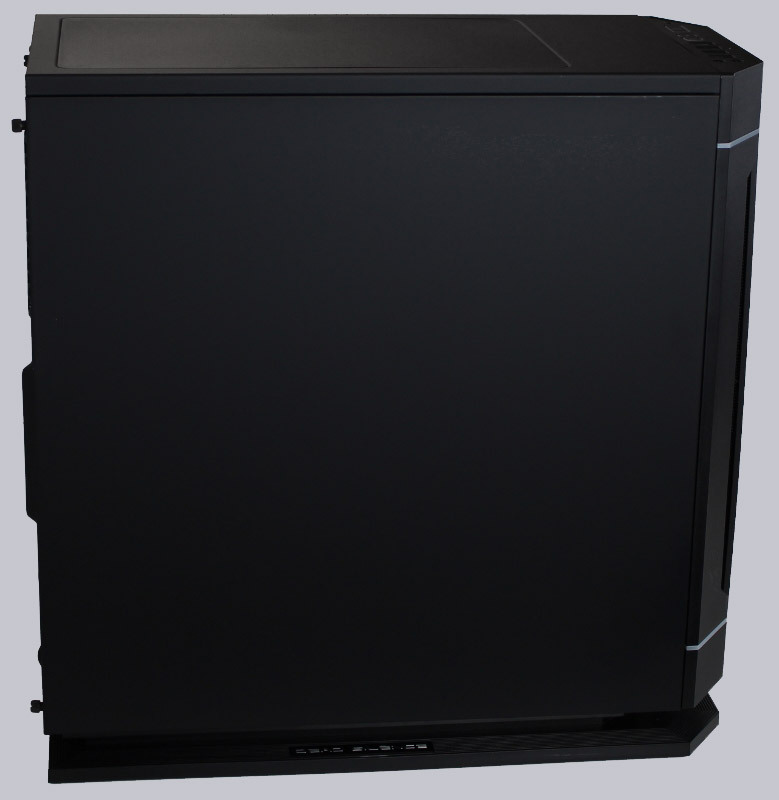 For buyers who are looking for a very clean processed housing with prefabricated ventilation concept, which is very quiet, out of the box, the Aerocool Tower is not really the first or best choice. According to our own research, the deficiencies listed above are unfortunately not an isolated case, but point to manufacturing problems at Aerocool with the DS230 series. 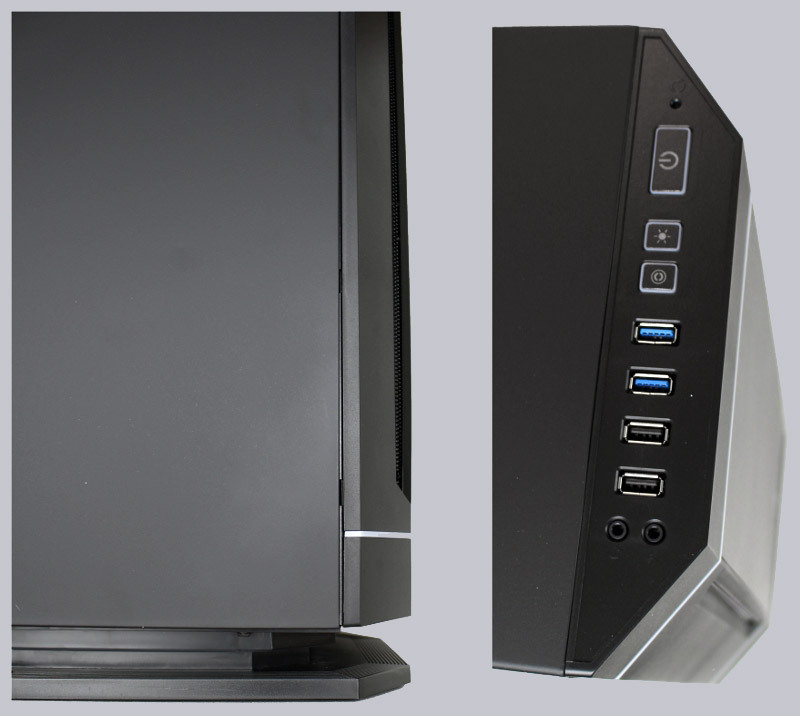 Here you can order the AeroCool DS 230 inexpensively. Write your own reader test?